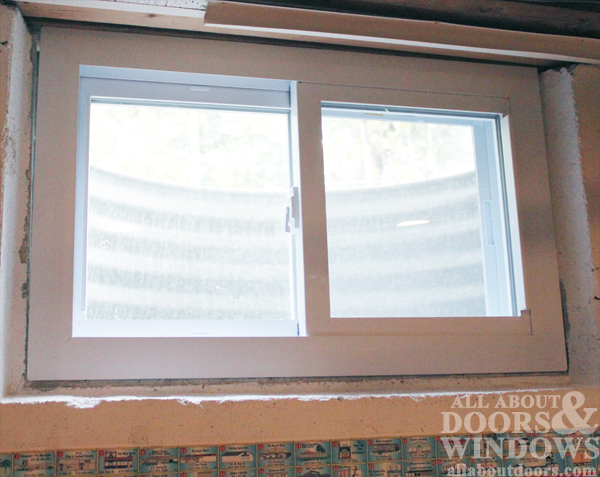 Do the windows in your basement let in a chilly draft in winter? Or humid heat in the summer? Are they leaking air or can you see the world outside through cracks in the cement? Are your windows outdated and just not cutting it anymore? Basement window replacement is an easier, cheaper replacement than most other windows in the house, and taking the time to replace old, leaking basement windows can cut down on your heating and cooling costs. There are two main types of basement windows, those with window frames secured in concrete and those with steel bucks instead of window frames; bucks are deeply embedded steel boxes, which house window inserts--or window sashes that fit directly in the box. 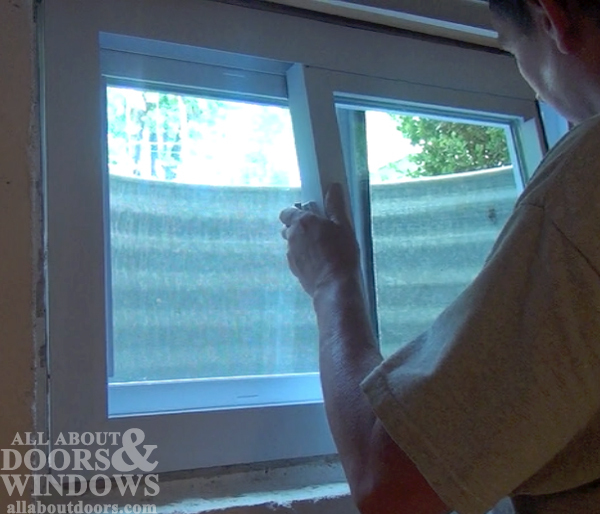 Both basement window replacement processes are easy, but this page deals with how to replace a basement window in concrete and should work on most aluminum or steel windows which have frames directly embedded in the concrete. For help replacing basement inserts, see our video here. 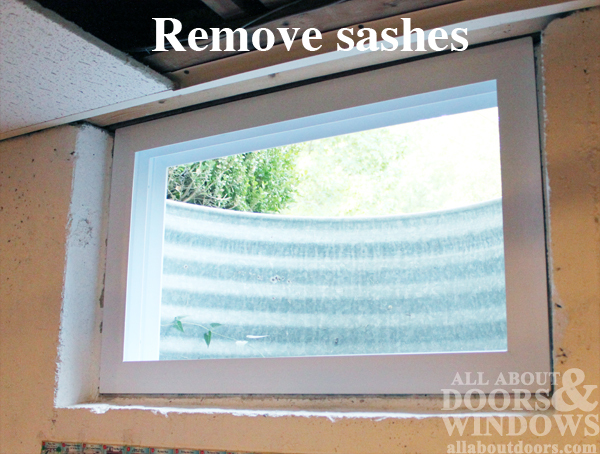 Remove "sash" components--everything except the basic aluminum or steel frame. In this specific basement window replacement case, we needed to remove the louvers, or glass slats, in this jalousie window. It could be a hopper or awning sash, however. Once you've removed the innards of the window, it's time to attack the frame. The goal here is to get down to the rough opening in the concrete. It's not the easiest task in the world, because the frame has been secured to the concrete. 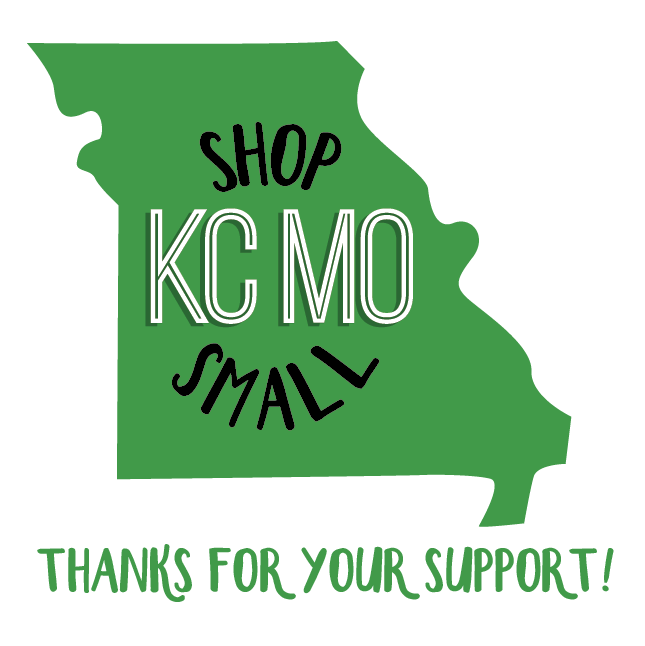 However, it may be easier than you think. 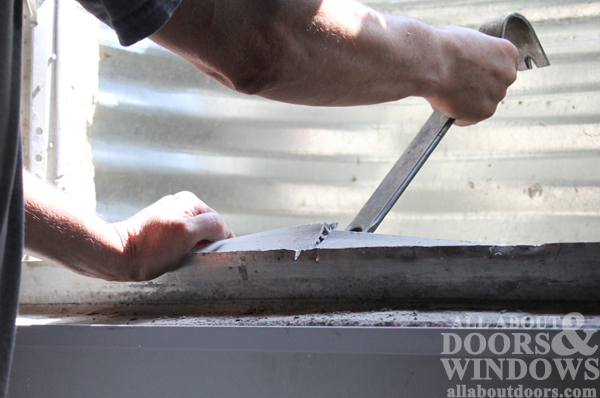 Take a reciprocating saw with a metal-cutting blade and make a deep cut in the middle of the bottom of the frame. This will weaken the strength of the frame and allow you to wedge a pry bar in between the concrete and the aluminum or steel frame. Work one side of the frame at a time--using the pry bar to get a grip on the frame and carefully wedge it out of the rough opening. If your frame is steel, you will most likely have to make a cut with the reciprocating saw on every side of the frame, because it is much harder than aluminum to pry off. 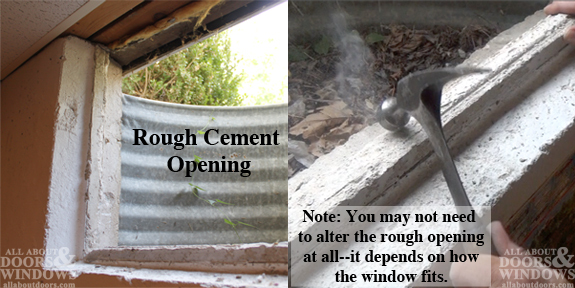 Once you get the window frame, you're left with the rough opening in the concrete. This is what you need to measure if you still need to purchase replacement windows. If you've already purchased replacement basement windows, measure anyways to double check the fit.For example, we didn't know there would be a ridge of concrete underneath the window--and we purchased our replacement basement windows before we had the window frame out of the concrete. So, we needed to measure and make some modifications before replacing the basement window--like knocking out some of the concrete on the bottom of the opening so the opening was square and the same size as the window. Some modifications may need to be made to the window itself--we trimmed the fins on the outside edge of the window--these are extra pieces of vinyl that were interfering with how the window fit into the hole. The modifications you need to make, if any, will depend on your exact situation and how close a fit your window is to the rough opening. 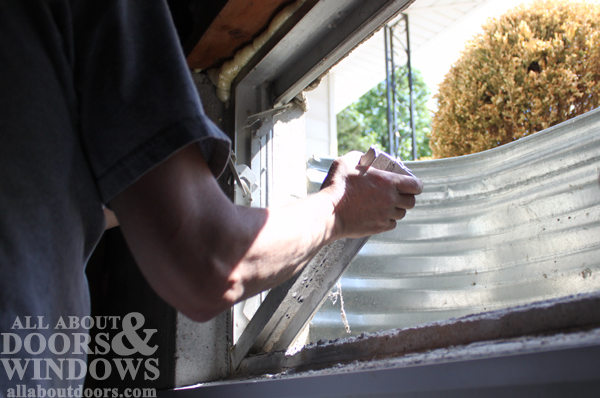 *Note: When replacing a basement window, always double-check and measure twice before making any major modifications to the rough opening or the window itself. 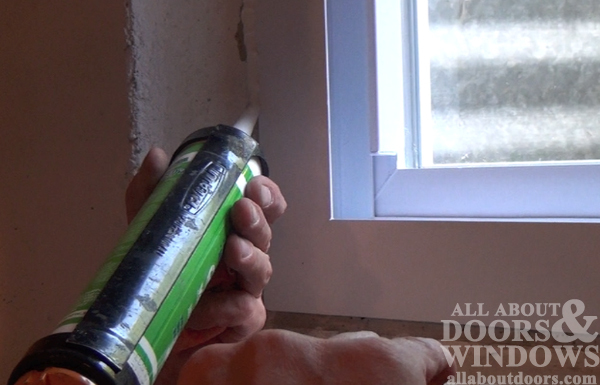 Stick the window in the rough opening, making sure to install it right side in and right side up. 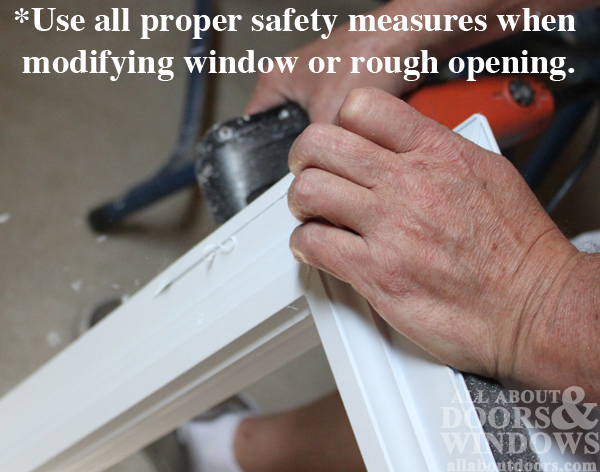 If measurements are exact or very close, the fit of the window should be tight. 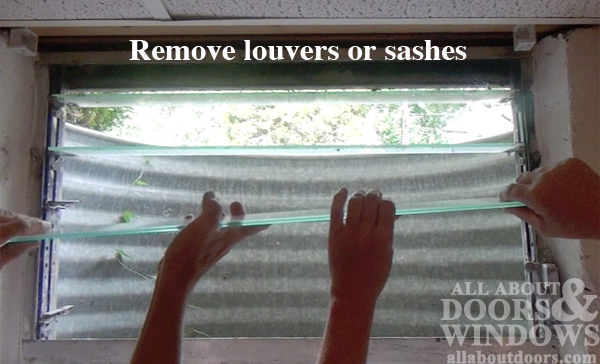 Remove the sashes and screen from the window so you can access the screw holes. If the replacement basement window is a slider, sashes and screen panel should be lifted one at a time gently up into the trop track until the bottom of the sash clears the bottom track. The sashes easily come out through the inside. 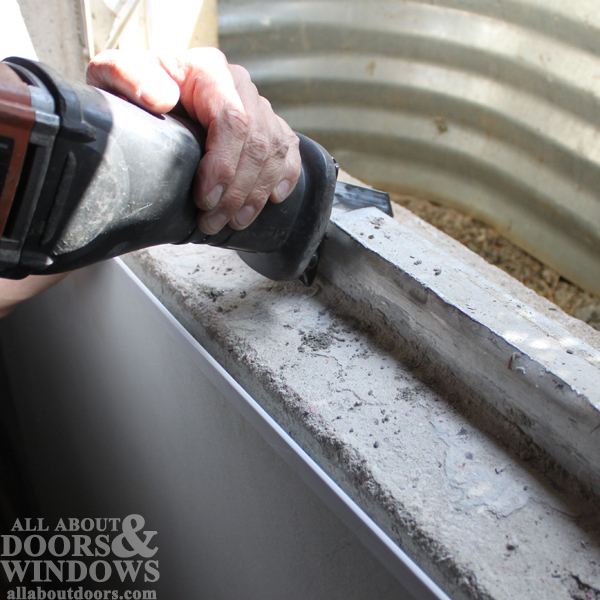 Secure the window in place by installing double-threaded concrete screws along the sides and top of the window. 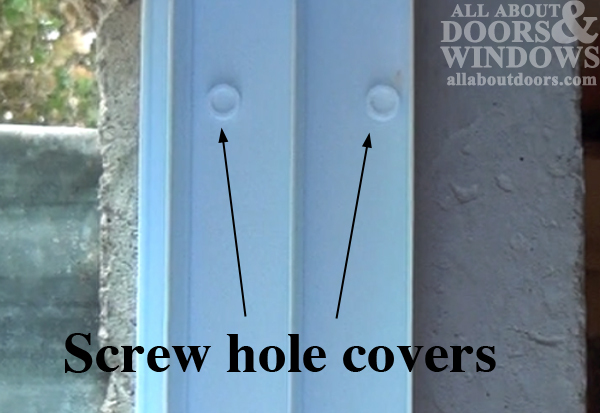 Install screw cover plugs if they come with your replacement window. Fit the sashes and screen back into the window. Caulk the inside gap between the cement and the window. 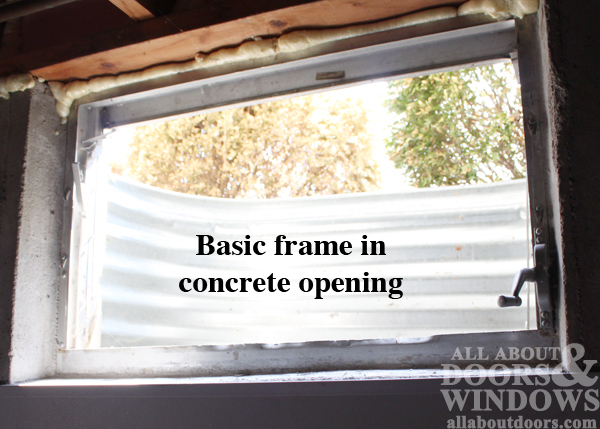 From the outside, fill in the gap between window and cement with spray foam. 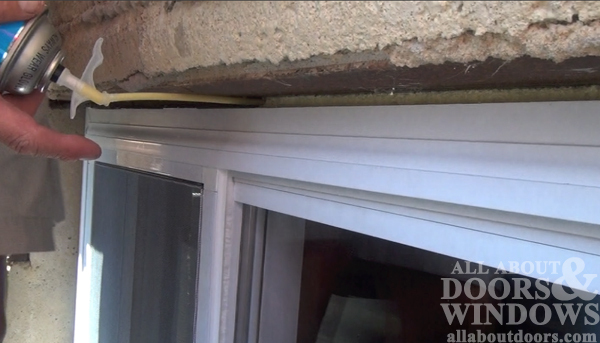 Depending on how your window fits inside the wall, the strip of solid foam on the edge of the replacement window may be exposed to the outside elements. We tore this off before applying spray foam to ensure a tighter insulated seal.